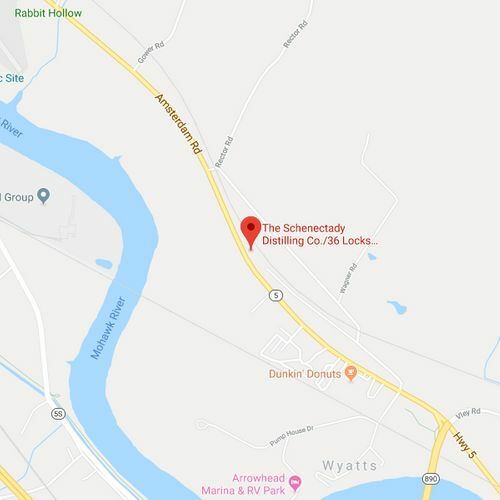 Handcrafted Spirits | Schenectady Distilling Company, Inc.
Our brand, 36 Locks, pays homage to New York's Erie Canal and its 200 year history that transformed the great state of New York into what it is today. The present day Erie Canal has 36 locks and runs from Waterford to Buffalo. Our products do the same, with names that relate to the Erie Canal in hopes of reminding New Yorker's of the incredible history that created this great state and helped form our country. 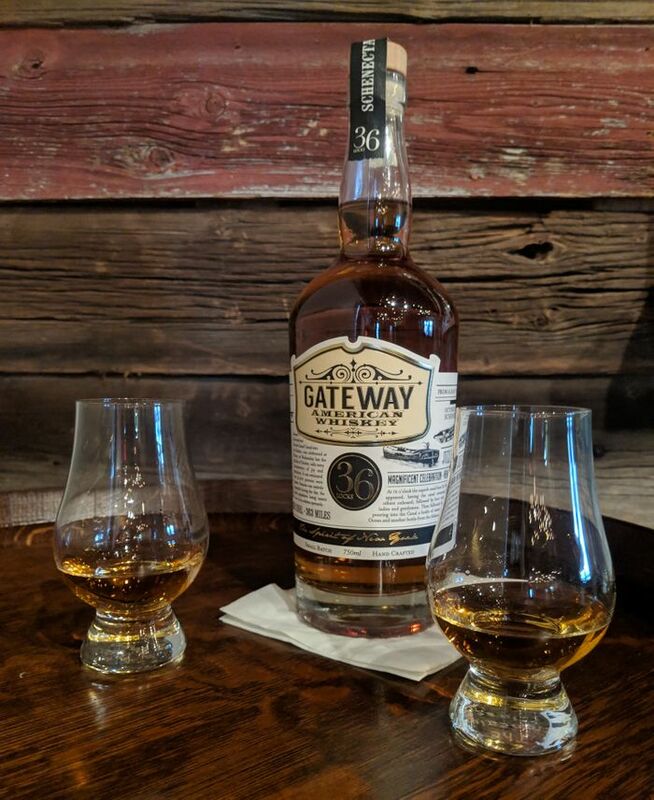 Gateway American Whiskey: In 1825, the Erie Canal was the first, fast and inexpensive "Gateway" through the Appalacian Mountains of western New York. 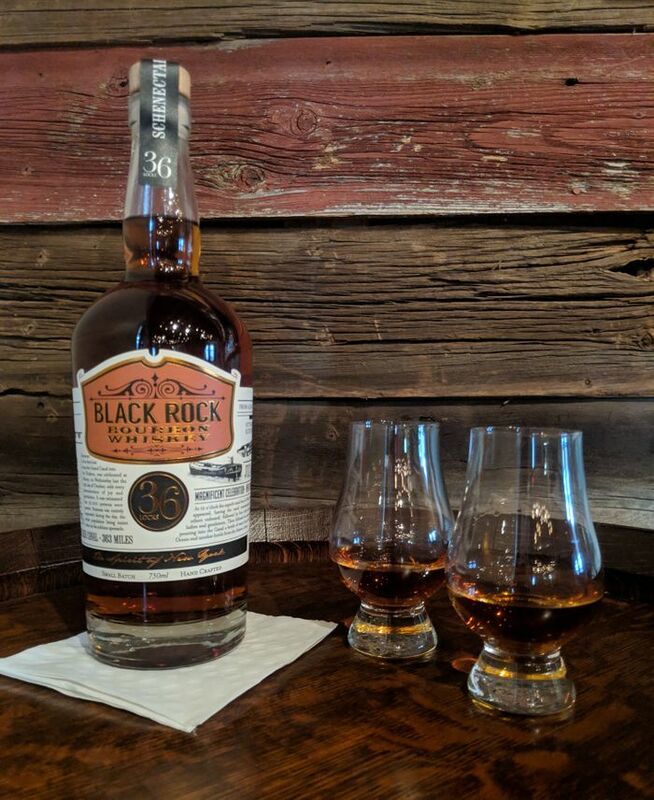 Black Rock Bourbon Whiskey: Named after the last lock on the Erie Canal in Buffalo, NY. 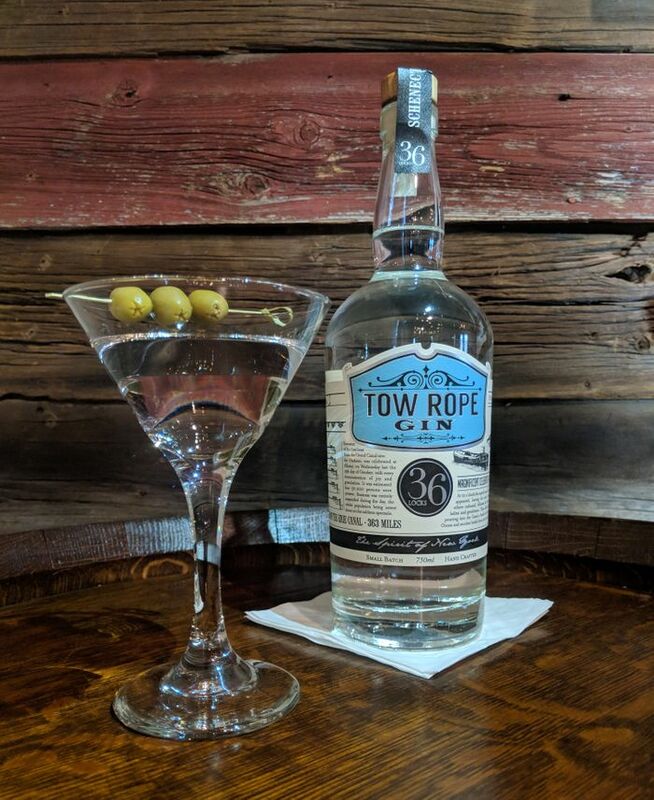 Tow Rope Gin: When the Erie Canal opened in 1825, mules and a "Tow Rope" were used to pull packet boats and their cargo along its 365 mile journey. Clinton's Folly Muleshine: Critics of the Erie Canal called it "Clinton's Folly". It was a mule named Sal, however that ultimately became its undying symbol. A beast of burden embodying "the Spirit of New York" and hauling barges filled with lumber, coal and hay from Albany to Buffalo. Distilled from the same mash recipe as our Black Rock Bourbon with locally sourced grain. This product is our testing ground with versions made with French Oak, American & French Oak and plans to age in barrels used for aging beer to create a variety of distinct and unique craft flavors. Distilled from locally grown soft winter wheat and then redistilled with, and through, nine different botanicals, creating a wonderful, well balanced blend of flavors with hints of grapefruit and cloves. Our distilled New York four grain mash recipe of corn, wheat rye, and malted barley, in combination with our American White Oak barrels, is aged to perfection to create a small batch bourbon with a smooth bold flavor profile that can't be matched! 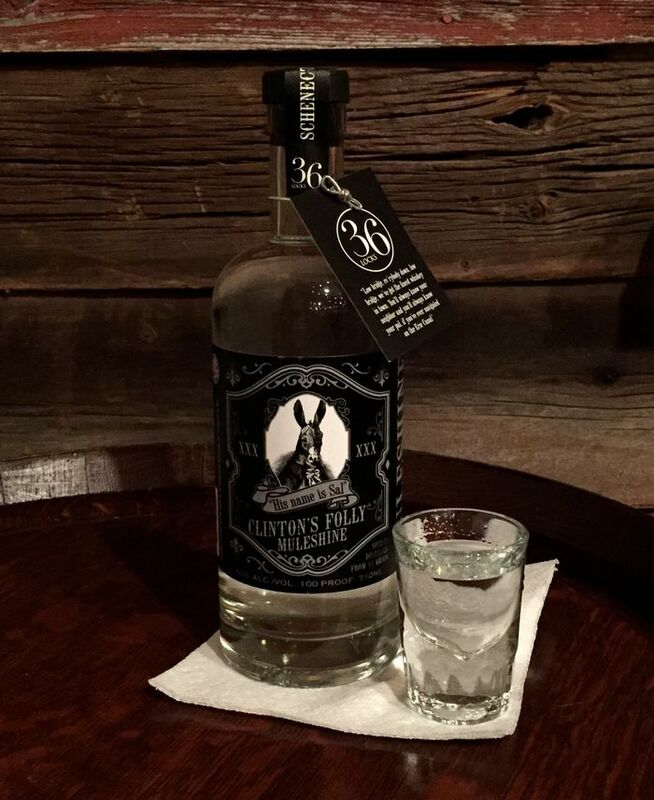 Being a New York Farm Distillery we are proud to offer a huge selection of spirits, wines, cider and craft beer made from New York grain, grapes, apples, and hops. These products come from as far away as Buffalo and the Bronx and give our patrons the opportunity to buy samples and tastings of hard to find products and buy a bottle if they like them. The tasting room also offers a great selection of creative handcrafted drinks for your enjoyment. Open from Thursday to Sunday we sometimes have live music (check our events calendar) and offer both informal and formal tours of the Distillery. From finding an old still in the attic of an Adirondack camp, opening a tasting room, developing our products, production, labeling, and finally offering it to the community, it's been a long, hands on journey not for the faint at heart and not without the support of family and friends. Our learning and development continued until we found the right location to start the distillery, the no longer used Rector Fire Station, in Glenville, NY. After the long approval process we closed on the building in September 2017 and with the help of the Glenville Local Economic Development Corporation we began to source our equipment. In February, 2018 we opened our New York tasting room, selling only New York State produced spirits, wine, cider and craft beer. In March of 2018 we purchased our 300 gallon steam jacketed still and by May 2018 we started producing spirits. 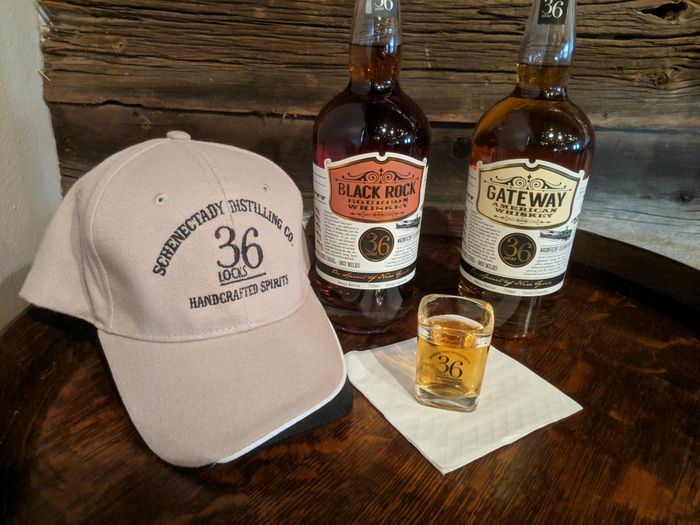 Our first product out was our Gateway American Whiskey in October 2018, then our Tow Rope Gin in November 2018, the our Black Rock Bourbon Whiskey in December and finally our Clinton's Folly Muleshine in March 2019. Since finding that still in 2006 to having our products on the shelf in 2019 the trials and tribulations have been endless. Now after years of hard work, late nights and sacrifice we are proud to share our carefully handcrafted spirits, made from the best ingredients grown by local farmers and supported by the community, in "The Spirit of New York". Please stop by for a visit. Cheers.